We love touring with our Te Reo Singalong shows – and our recent trip to Southland was no exception. Usually my husband Alan and I do the shows together. But this time, I broke my ankle a couple of days before we were due to fly to Queenstown. Luckily, our daughter Sophie was able to fill in for me! The whole trip was made possible with the generous help of Southern REAP. We started in Queenstown where we did a show and I presented my pronunciation workshop in the evening at the most amazing venue overlooking Lake Hayes. What a beautiful country we have the pleasure of living in! We then went to Te Anau and Lumsden to perform our shows. The photo below shows Sophie and I with the gorgeous children from Riverstones ELC in Lumsden. 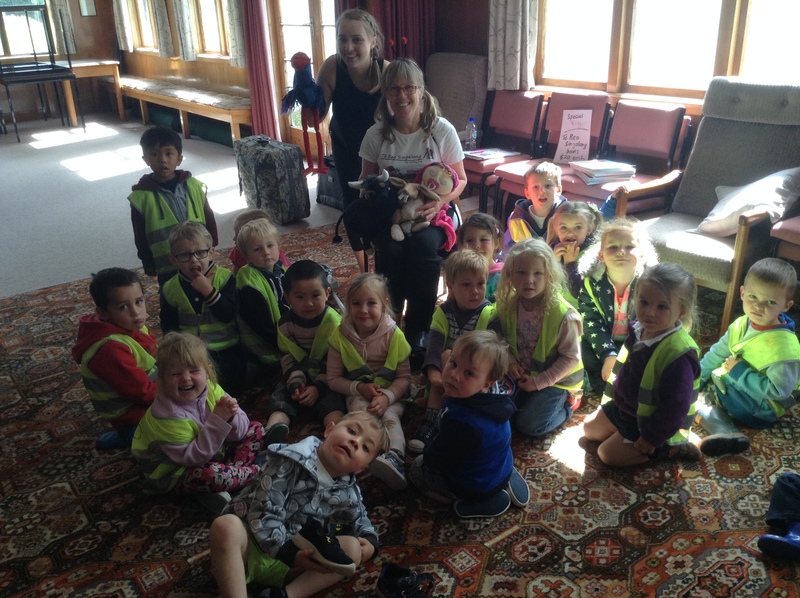 We had a great time there and there was plenty of interaction as the children knew the books and songs very well. We then went to Ōtautau and Winton to perform more shows. That night I presented my te reo pronunciation workshop at the Southern REAP office in Winton. We also performed two big shows at Mataura and Gore, which went really well. I did my final pronunciation workshop in Gore at a beautiful modern venue called the Gore Kids Hub. It was so good to meet all the teachers who were enthusiastic about learning how to pronounce te reo Māori correctly. Our last show was a very special one. I had never been to Bluff before, so I was really looking forward to our show at Te Rau Aroha Marae in Bluff. The venue is quite honestly breathtaking. I loved Bluff as a place, and the marae – which is done in the modern style by prominent Māori artist Cliff Whiting – is well worth the trip south. You can get a small glimpse of the artwork in the wharekai in the photo at the top of this page. It shows me with the children and teachers from Bluff Kindergarten just before our show. 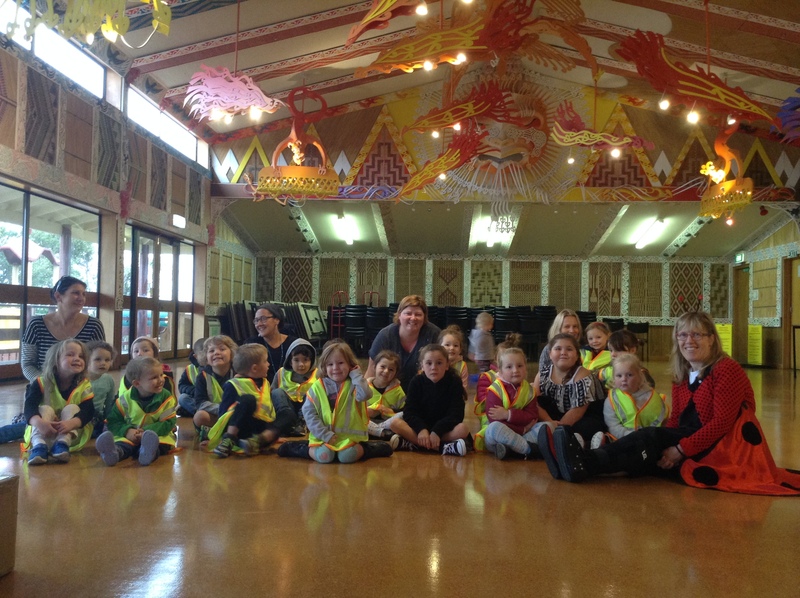 After the show, we went into the amazing wharenui with our very knowledgeable guide, Jacqui. I will never forget the beauty of the carvings there. Spectacular! We finished our trip by spending the day in Invercargill at the Uniquely Kiwi creative professional development day with 100 teachers and several excellent presenters. Sophie, Alan and I performed one of our Te Reo Singalong books for a very appreciative audience of teachers. I also presented my te reo pronunciation workshop and received some great feedback. It’s great to know that the passion for te reo is alive and well in the deep south! It was also a bonus to meet Mayor Tim Shadbolt, who opened the event. He was at his hilarious best and started us all off with a good belly laugh. 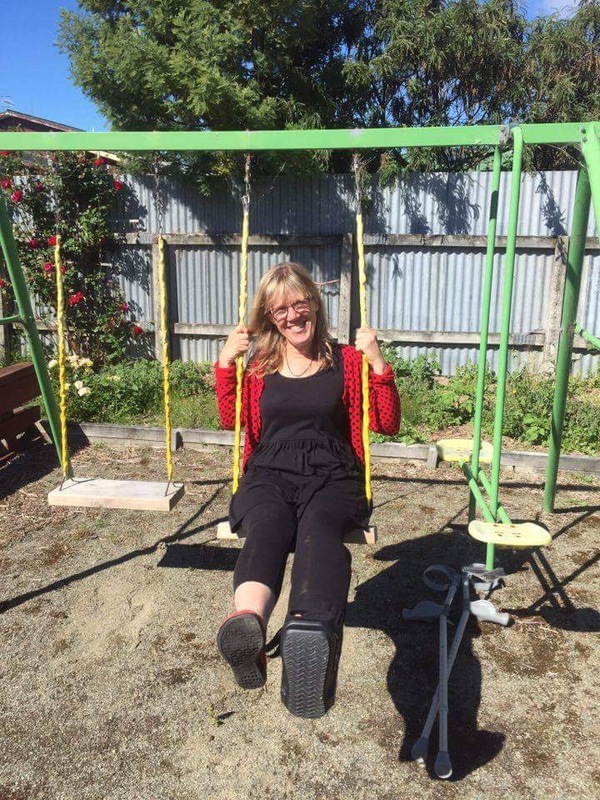 I look forward to returning to Southland again – with both legs working!! !